NEW YORK -- A tiny deer is generating a giant dose of cuteness in New York City. 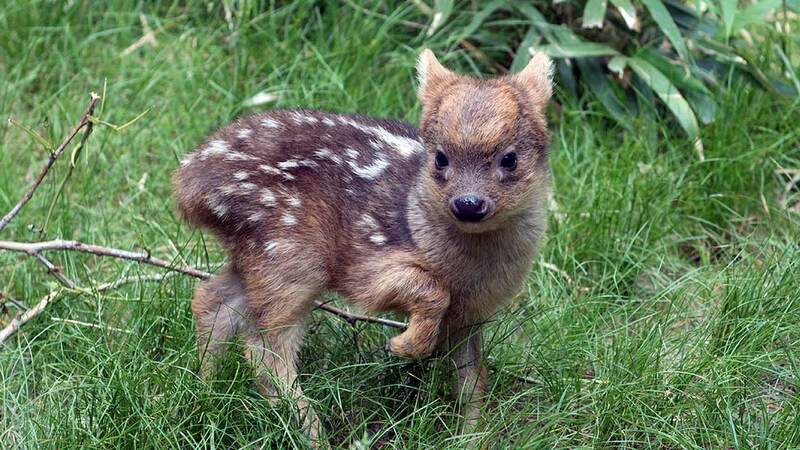 The southern pudu fawn - the world's smallest deer species - was born May 12 at the Queens Zoo. In his case, though, "growing up" won't be much of a vertical process. When they're born, they're only 6 inches high - and weigh less than a pound.